The Uthayan newspaper office in Kilinochchi has been attacked this morning. Police stated that the extent of the damage has not yet been determined. The attack occurred at around 5am this morning (April 3) while three people including two paper distributors and the Kilinochchi office manager were injured in the attack and were subsequently hospitalized. An unknown gang who were hiding near the distribution wing of the office located on the Jaffna-Kandy road had attacked the three employees of the newspaper this morning while further damages were incurred on the office. 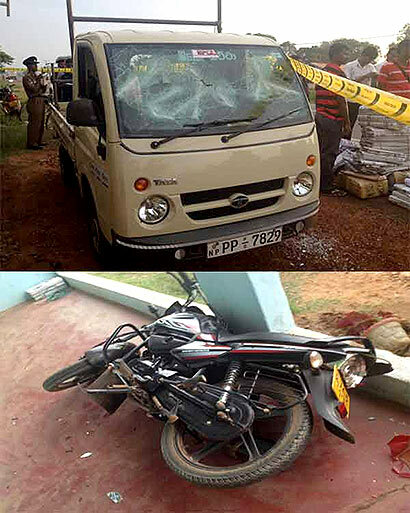 The Kilinochchi police are conducting further inquiries into the incident. They attack themselves and trying to show to the world.